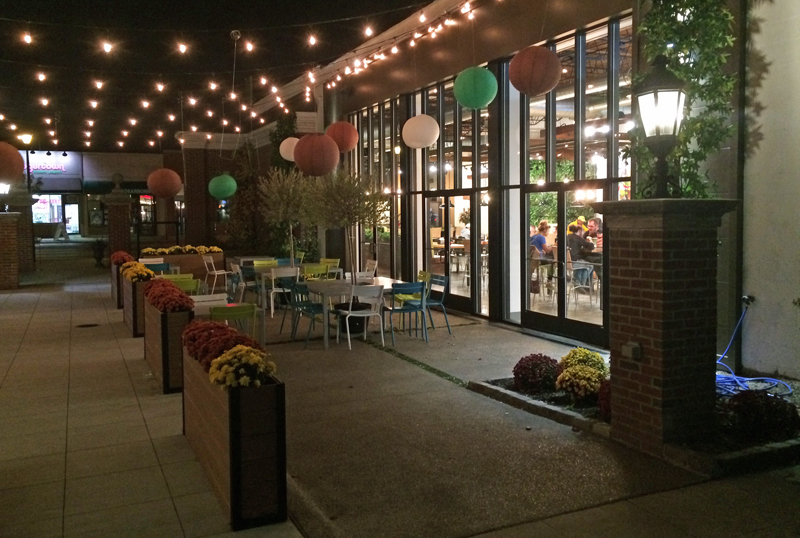 Review: Brome Burgers & Shakes, Michigan Ave, Dearborn. 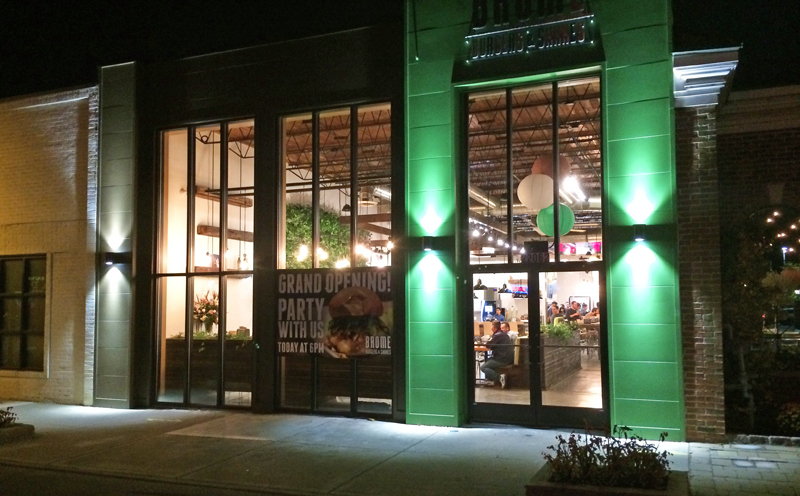 Brome Burgers & Shakes opened this week at 22064 Michigan Ave. in Downtown West Dearborn in the former jewelry store building that sat vacant for over a decade. It is near the corner of Mason and Michigan Ave. next to the BP Gas Station at the corner. The opening follows a major refurbishment of the building and continues the growth of new businesses along Michigan Ave. between Oakwood and Military. The entire Oakwood/Military stretch of Michigan Ave. was hit hard by the automotive recession five years ago and by a poorly timed move to paid parking in the area The paid parking has since been removed and returned to free public parking in lots north and south of Michigan Ave. in this now thriving restaurant district. 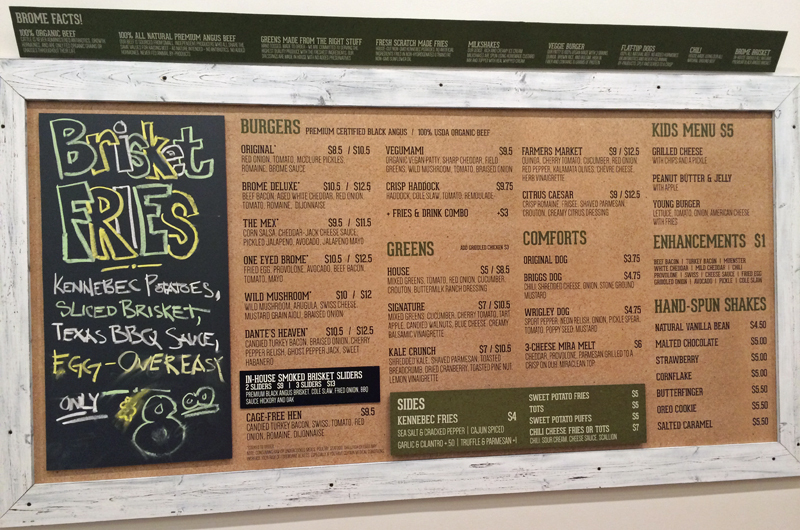 Brome Burgers & Shakes brings the East and West coast gourmet hamburger trend to West Dearborn. The execution of this popular theme, from menu to decor to service and most importantly, food, is truly exceptional. A menu of at least ten sandwiches including vegan, candied turkey, brisket sliders and a nicely varied specialty hamburger list also includes Hot dogs, salads, gourmet sides including delightful fries and truly remarkable shakes. Ever had a cornflake shake? The open, airy and bright decor give the restaurant a fresh, modern feeling while the wall of natural foliage softens the feel and freshens the room, also serving to make the noise level in the restaurant pleasant for conversation even when packed. The owners get high marks for providing a perfect setting marvelously themed to go with the menu. Staff is bright-eyed and bushy-tailed as they check in on guests to be sure burgers are cooked to order. An impressive feature of the restaurant we noted while visiting during the first few days it was open is that the operation ran flawlessly, with ordering done at the counter, the short line moving quickly, the menu placed far enough away from the ordering counter to facilitate good flow. This will become a hotspot for Ford Motor Company lunches, especially for out of town vendors looking for an afternoon gem. It is a well engineered lay-out that feeds smoothly through the experience. 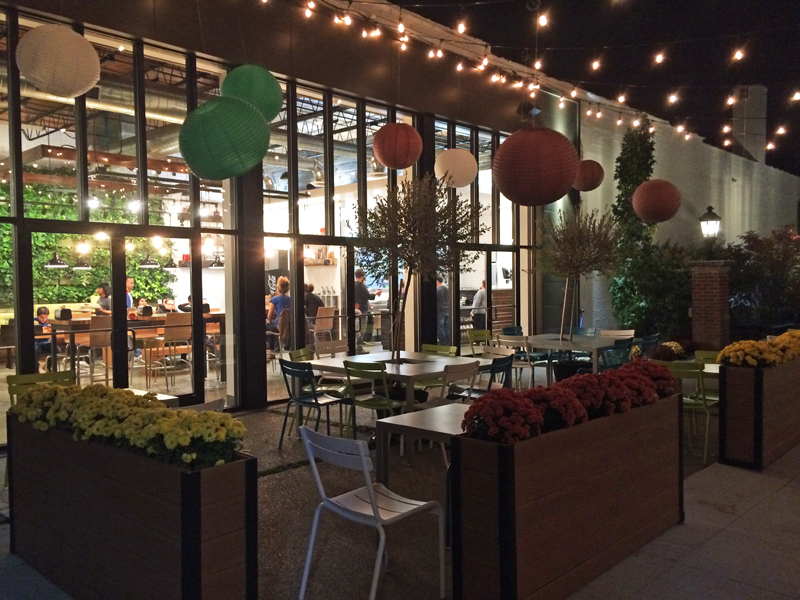 A beautiful outdoor dining patio accompanies the dining room. 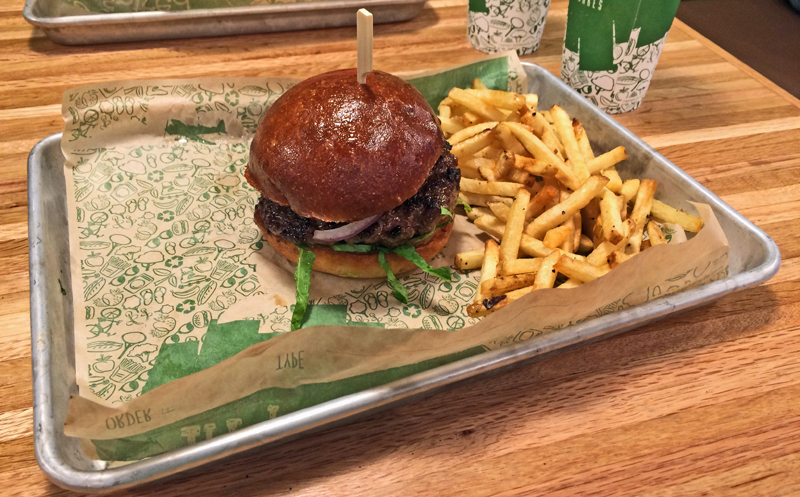 We sampled the Original Burger, the top item on the menu at $10.50 ordered in a combination with Kennebec fries and a drink, standard burger joint fare interpreted at Brome Burgers & Shakes with meticulous attention to detail. The meat is excellent, grilled to medium-well per their recommendation, juicy and lightly seasoned for a memorable smokey finish that hints at sweetness. Red onion, fresh tomato, mcclure pickles, fresh romaine lettuce and a respectfully mild Brome sauce finishes the standard topping. The bun is brown-crusted and flavorful, perfectly fitted to the patty so the hamburgers even handle well. Fries are perhaps the best ever, with the ones we sampled wearing a sea salt and cracked pepper accent. All meat is Halal and organically grown along with a natural theme of incredible quality that runs through the entire menu. Even the soft drink selection is massive and dispensed from the most advanced mixing machines. 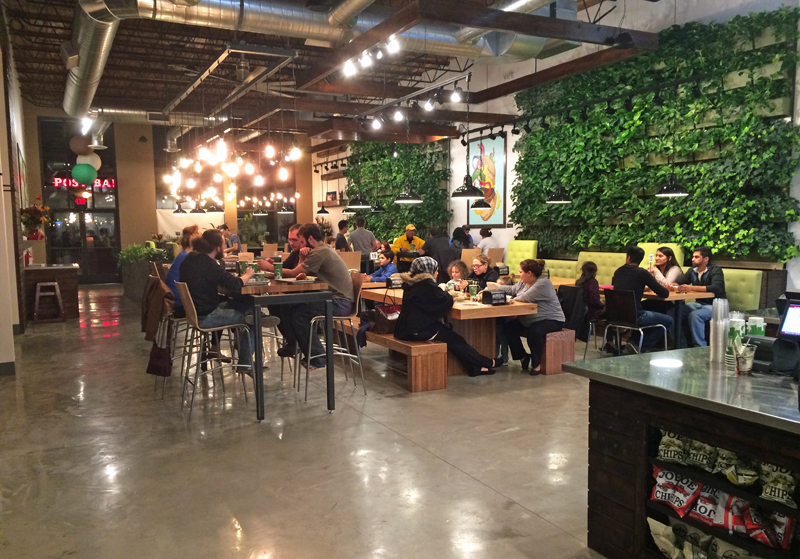 Brome Burgers & Shakes helps recalibrate the Downtown West Dearborn dining experience with a fresh flavor and experience common to the big cities now but new to Dearborn. It’s a mother sign of the strong comeback the Downtown West Dearborn Business District is making and a truly gem-like surprise for Downtown Dearborn. Don’t miss it. Brome Burgers & Shakes is at 22064 Michigan Ave, on the north side of Michigan next to Om! Spa. Parking is free and open in the back of the restaurant. Hours are 11:00 AM to 10:00 PM. Phone number is (313) 996-5050. Dine-in and carry out available.